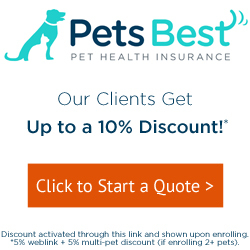 Our goal is to help your pet enjoy the highest quality of life possible. At Red Cedar Animal Hospital, PC we recognize the strengths of the bond we share with companion animals. In order to promote this bond, we are committed to providing quality, compassionate care that includes low-stress handling and fear-free techniques. We are committed to providing your pet with the latest medical care and to keeping your pet healthy and happy. We emphasize preventive medicine and wellness care, as well as tailoring vaccine programs to meet your pet's needs. You are the most important person in your pet's life. Our goal is to keep you informed of the latest advances in veterinary medicine to help you make the best health decisions for your pet. Red Cedar Animal Hospital, PC, was established in 2002. The vision was to provide exceptional veterinary service to the community through comprehensive care and helping clients enjoy the special bond they share with their pets. An emphasis on customer service and client education helps to fulfill these goals. Another objective was to develop an atmosphere where pets enjoyed coming. Taking time to know your pet and go at your pet's pace as well as liberal use of an assortment of treats helps to alleviate fear and anxiety about going to the doctor's office. We also strive to tailor vaccine protocols and treatment plans to each individual pet's needs, instead of a one-size-fits-all philosophy. We include you as part of your pet's health care team, as your observations are a critical component of care. Our goal is a long, happy, healthy life for your four-legged friends. We believe in a fear-free approach to veterinary medicine. This means taking extra steps to minimize stress for your pet during their visits. Please talk to us about how we can best keep your pet calm and happy during their visit. We have all sorts of practices, methods and tools to make veterinary visits more pleasant for you and your pet. To allow us to serve you and your pet better, please give us 5-7 days notice for written prescriptions, including prescriptions for veterinary diets ordered from online. We are an AAHA-accredited veterinary hospital. Did you know that is a voluntary accreditation? That means we hold ourselves to a higher standard. Pets are our passion. And keeping them healthy is our #1 priority. We strive to deliver excellent care for pets, because your pets deserve nothing less. Learn more about AAHA accreditation and why our accreditation is important to you and your pet. Visit aaha.org/petowner. We just received a passing score on our certification inspection 11/21/17! AAHA requires veterinary hospitals to go through a rigorous review by veterinary experts every 3 years, which requires a lot of preparation by the staff. But we take pride in our accreditation and the level of care if provides for you and your pets. *No doctor available on Saturday.